On Monday night, the 20th of June we had the opportunity to have a scrumptious dinner at Va de Vi in Walnut Creek, California. A very well respected and talented chef was at the helm that evening, Shane Mcanelly. Here at K&J Orchards we really admire his enthusiasm and the respect he gives us small farmers' as he appreciates and respects the origin of his ingredients. 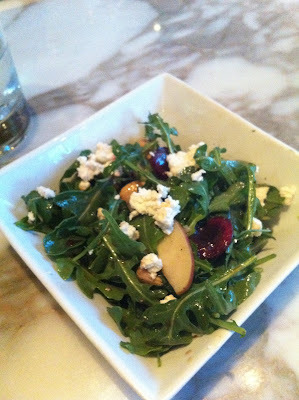 Our peaches and cherries were displayed in a wonderful spicy arugula salad that we had during our 12 course adventure! 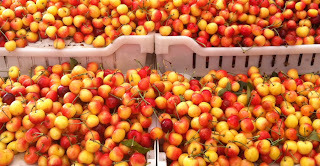 Va de Vi's Seasonal Salad featuring our "Early Treat" Yellow Peaches and "Bing" Cherries! It was the right amount of sweet and spice...yummy! Cherries are here but not for very long! Hello! 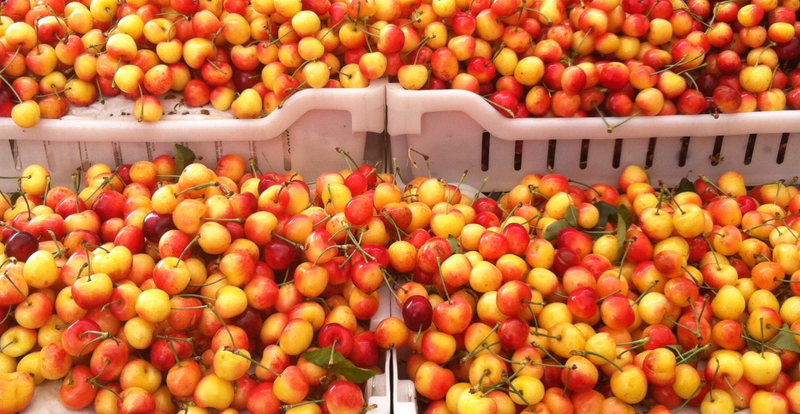 We are happy to have some cherries for you this season! 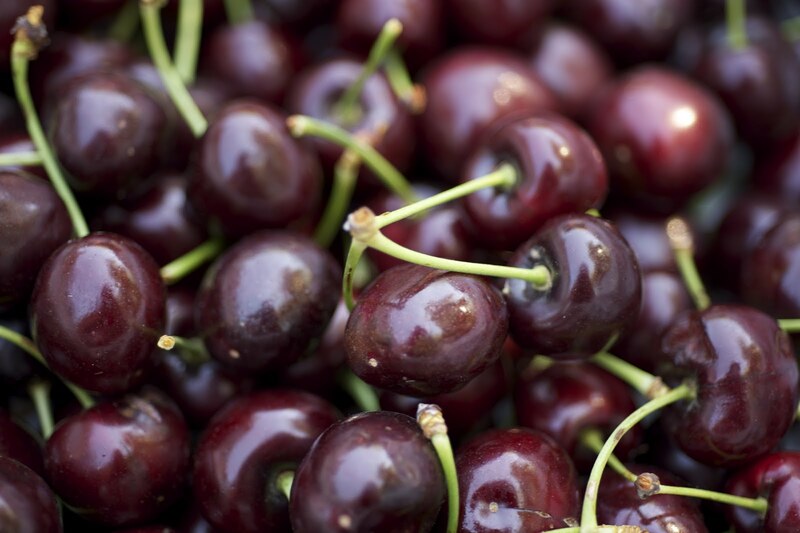 We have lost about 80% of our wonderful sweet scrumptious cherries due to the late rainfall during the month of May. Apricots and Peaches are getting into the swing of things by slowly getting ripe and the sugar content slowly inching up the scale. 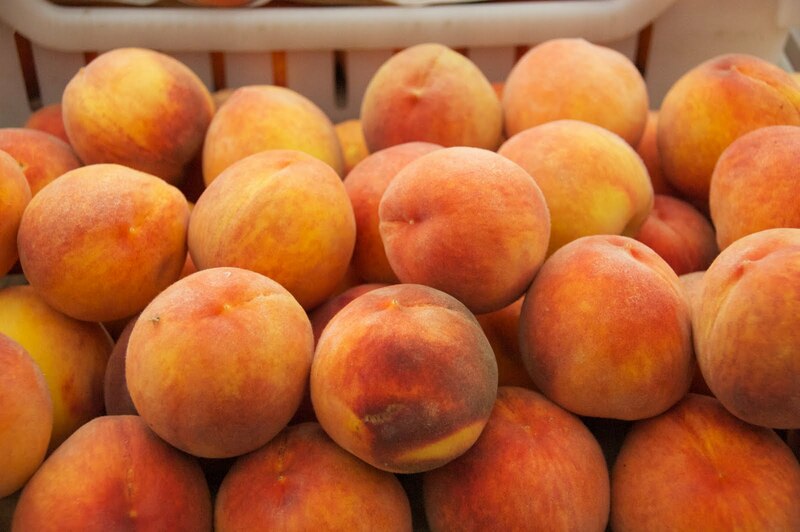 Come to a farmers' market near you to enjoy some of the season's best selections!